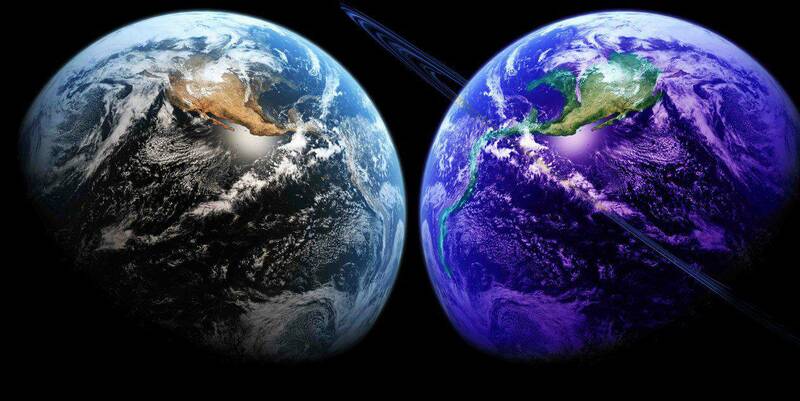 According to experts, the parallel worlds exist and it will soon be verifiable. Could it be that your dual reading this article at the same time in a parallel universe? Dr. Brian Greene, author of The Hidden Reality: Parallel Universes and the Deep Laws of the Cosmos is convinced that this strange quirk of nature could exist and it evokes the fantastic opportunities in this short television interview (in English). Increasingly cosmologists agree with Greene on the fact that we are part of a universe of many and that at least one of these other worlds would be close to ours - and even maybe just few millimeters distance. We are unable to see it because it exists in a different type of space of four dimensions of our daily reality. 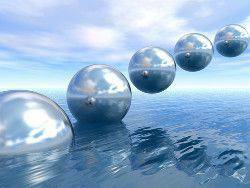 According to Max Tegmark MIT (Massachusetts Institute of Technology), this model consists of multiverse "many worlds" is grounded in modern physics and eventually become testable, predictive and refutable. "This is not science fiction but real science," he says. Thanks to advances in research with the CERN particle accelerator (European Council for Nuclear Research), scientists talk more of this new physics that is looming on the horizon that would allow them to understand more 'unknown aspects of the universe. This new approach includes the development of a better understanding of dark energy, a mysterious force that some forward thinking minds consider to be the indication of the invisible presence of a neighbore universe. Cosmologists have seen strange phenomena like the Andromeda galaxy, located 2.2 million light-years, going at the speed of 322,000 km / h towards the Milky Way. This would make sense if, logically, the loss of gravity of an unseen world drew the two galaxies towards each other. 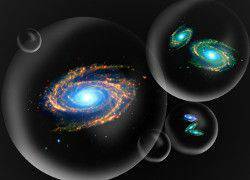 Researchers from the space probe WMAP discovered a force 10,000 times greater than that of the Milky Way which, according to them, is clear evidence that a parallel universe would be held close to ours. In another attempt to find alternative worlds, NASA installed the Alpha Magnetic Spectrometer-2 in the international space station to try to save data that could be used to prove their existence - some can even be made of antimatter.Discover the secret of this cosmic enigma generating interest globally. This project has the support of most nations of the European Union in addition to Taiwan, China, Russia and the United States. Will we one day visit another universe? In a recent interview on PBS (Public Broadcasting Service) concerning "Riddles of the universe," Clifford Johnson, cosmologist at USC , said he thought it was good for broaching the subject in a context of fiction, but there was also material for scientists to explore.Some suggest that the elements that we are made ​​- the material and the force of gravity and magnetism - are the glue that connects us to the universe. These links do not allow us to leave our four-dimensional movements - i.e from front to back, top to bottom and from left to right - or our perception of time. Another nearby universe could coexist but before you can observe or communicate with him, we must already understand its various dimensions. We should consider them as "new types of laterality." However, gravity seems to be at the heart of all these worlds and it may be possible one day to contact them through a futuristic gravity manipulation. What we would feel in the event of such a discovery? According to Greene, some universe could prove almost do not differentiate ours; some may contain variants each of us with families, careers and different lives. And still others might have a reality so radically divergent that it would be unrecognizable. Experts predict that in the coming decades, with the exponential growth of intelligence, this concept "farfetched" will ever be proved. Imagine you visit another Earth where an alternate version of yourself would be a more rewarding existence than yours and who you could trade places with one accord. "But then what would happen if our double met - combining us our differences to become better human beings or completing us with each other? " And when could we connect to parallel universes? With luck and determination, some experts expect the realization of this incredible feat by decade; some, less enthusiastic, think the technology necessary for its implementation should be set up in 50 to 100 years to come. Please watch this video as reference.